PENCILLER: Hendry Prasetya. Cover by Jamal Campbell. 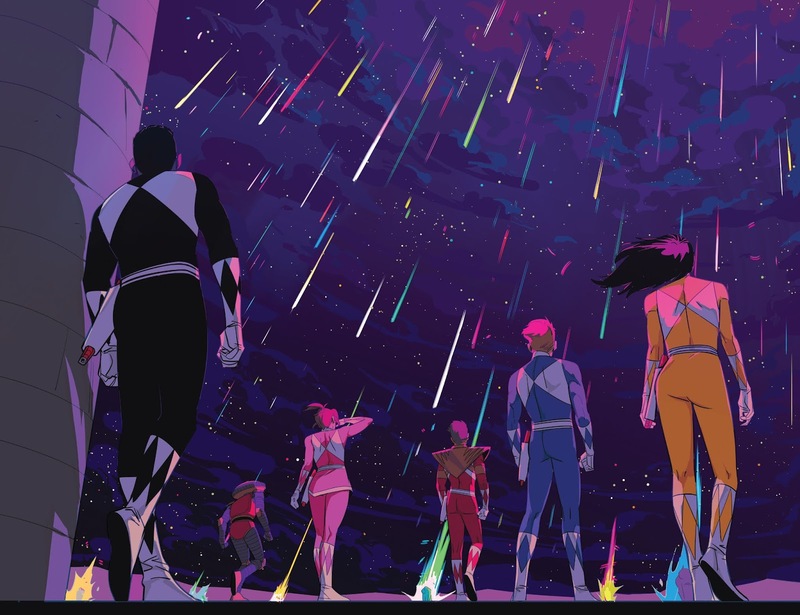 Everything I wrote about Mighty Morphin Power Rangers #11 still applies in this issue. 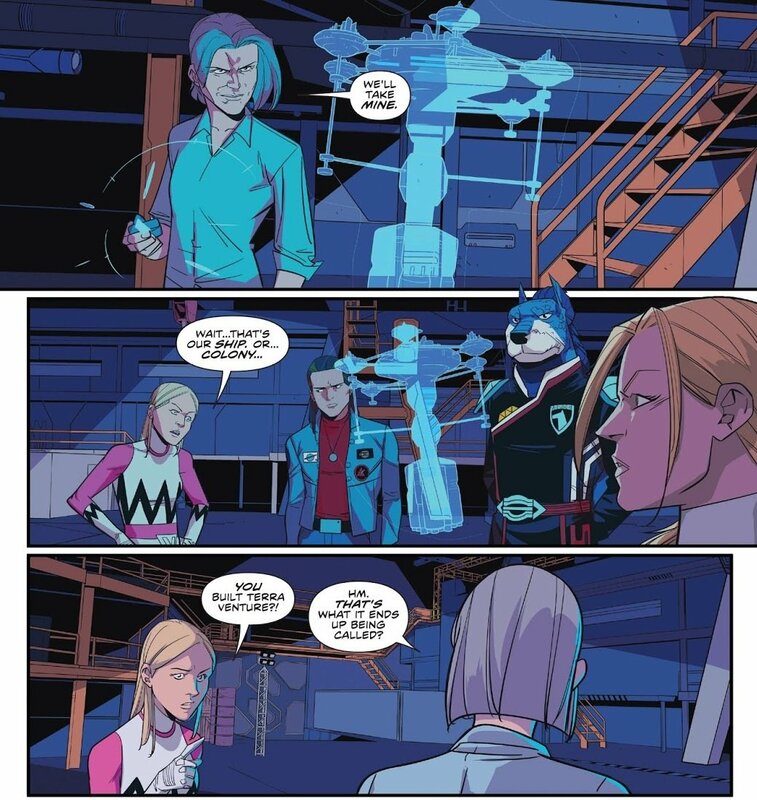 Exposing Tommy and Billy to elements from their future, such as the White Ranger, the Tigerzord, and the Thunderzords, potentially taints the events that occur later in his timeline. Assuming, that is, we don’t get a mind wipe at the end of this story. But until we see how the story ends, there’s no use poo-pooing what Kyle Higgins, Hendry Prasetya, and the BOOM! Studios crew are giving us here. So we may as well enjoy this whole post-apocalyptic, alternate universe tale they’ve crafted for us. 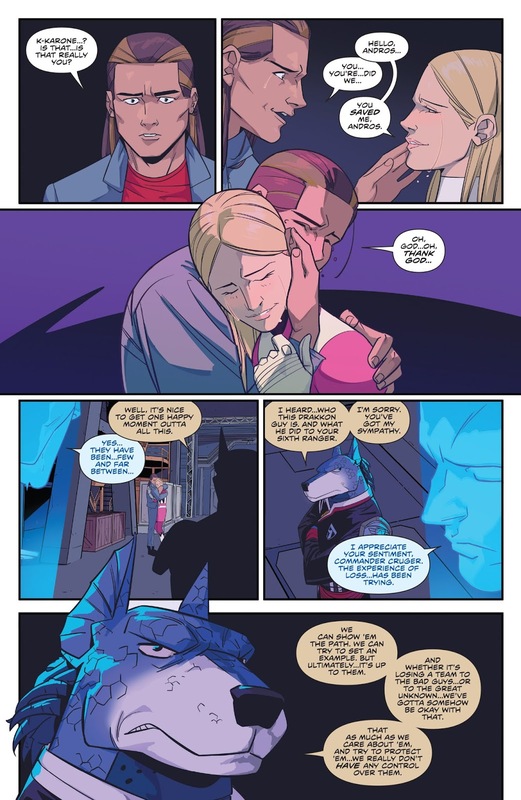 MMPR #12 tells us quite a bit about said universe. 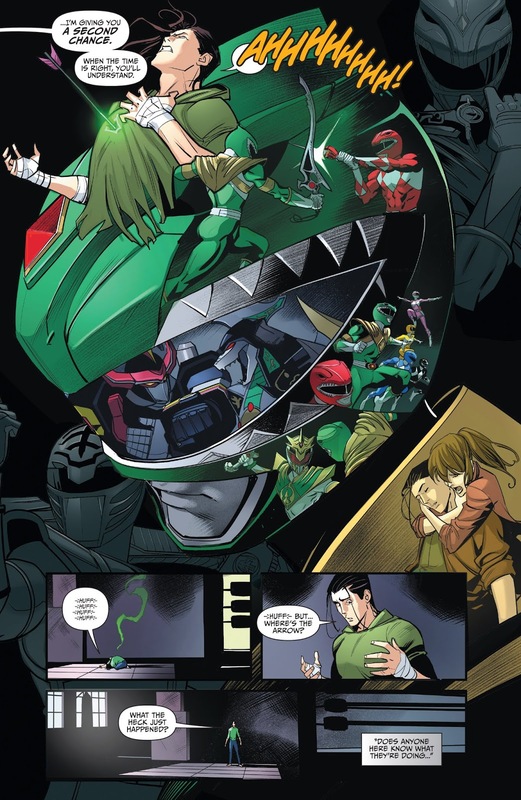 In this timeline, Tommy remained with Rita and her forces after the events of “Green With Evil,” as opposed to teaming up with the other Rangers. As such, Rita eventually conquers the Earth. 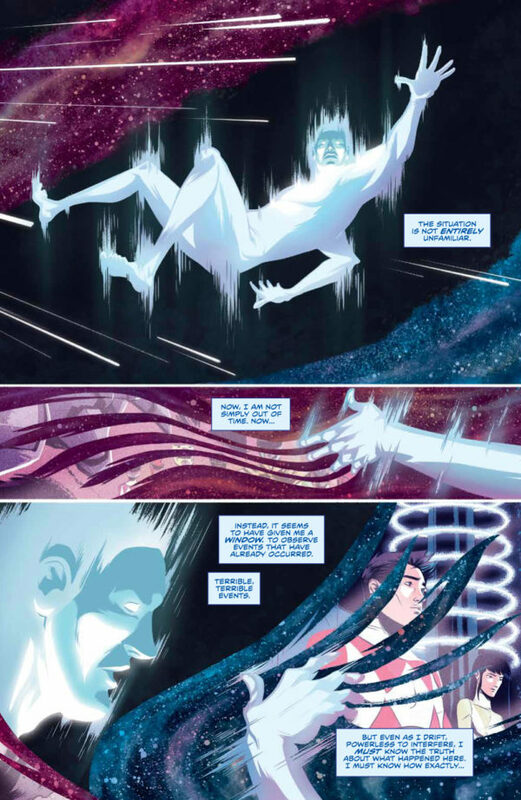 But not before Zordon creates the White Ranger powers, and attempts to give them to Jason. 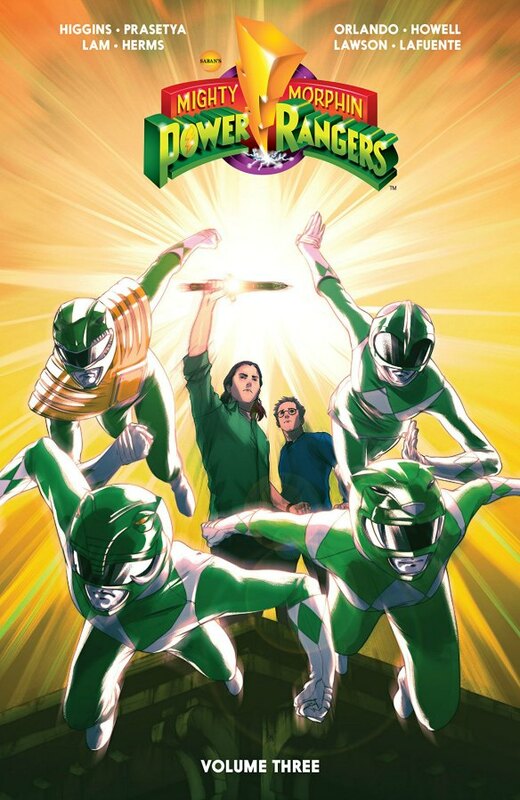 In the final battle between the forces of good and evil, Tommy steals the White Ranger powers, and merges them with the Green Ranger powers. 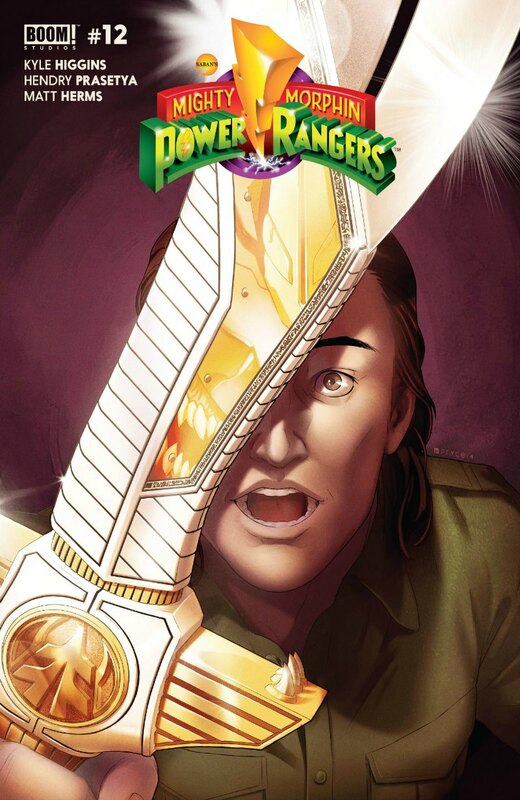 But Saba, the talking saber that was to have served as the White Ranger’s partner, has survived. And for the Tommy and Billy we know, he’s the only ally in sight. 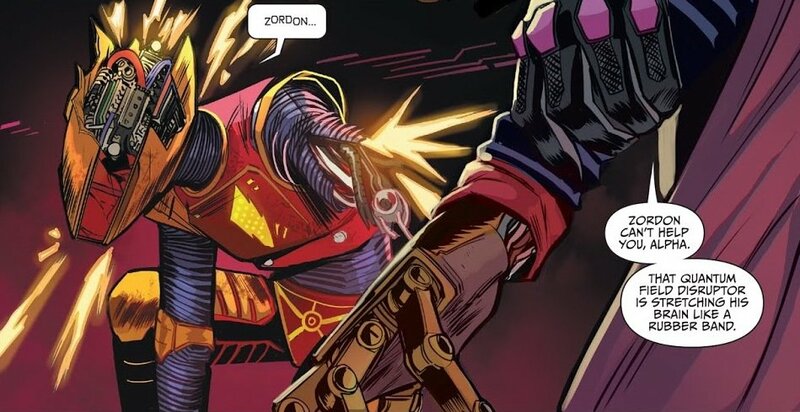 On the pages that show is the final days of this great war we see Lokar (who shows up later in season one) the Alien Rangers and Ninjor (season three), and even the Phantom Ranger (Power Rangers Turbo)! Strangely enough, we also have the Pumpkin Rapper, a random monster from season one. I don’t mind him being there. But out of all the monsters you could have picked, why the Pumpkin Rapper? 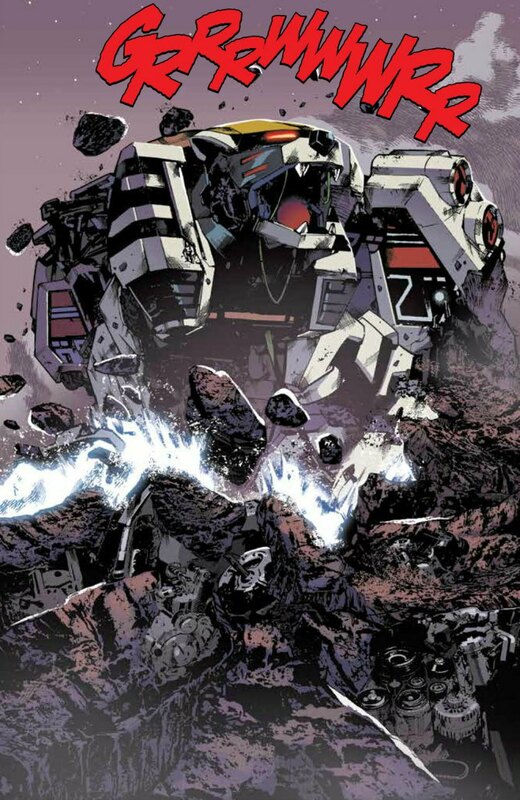 The battle itself really does look like a doomsday scenario where our heroes have their last hope snuffed out. I gripe about Tommy and Billy “knowing too much about their own destiny,” as Doc Brown would say. But I do appreciate the fan service that comes with having the Thunderzords, the Alien Rangers, etc. 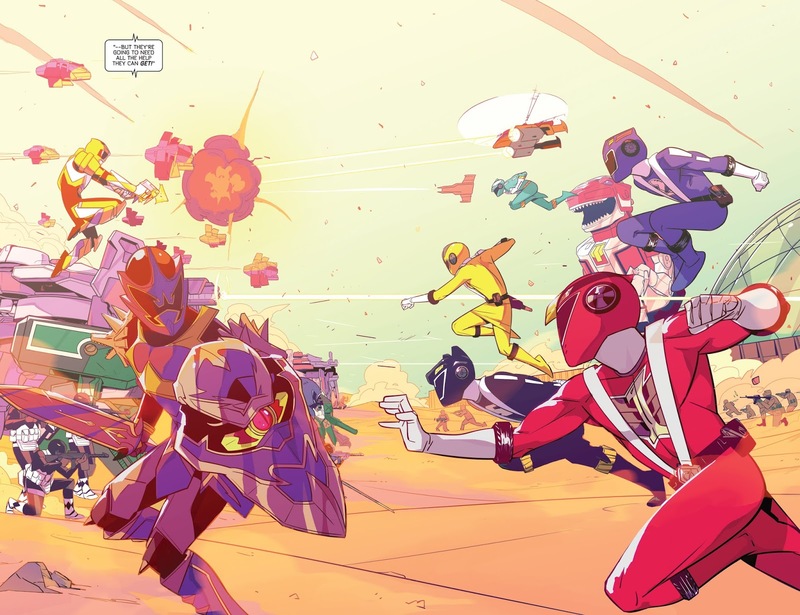 If you’re a Power Rangers fan, it has an undeniably epic feel. As I’ve said previously, Prasetya’s main strength on this book is drawing all the extravagant sci-fi stuff. 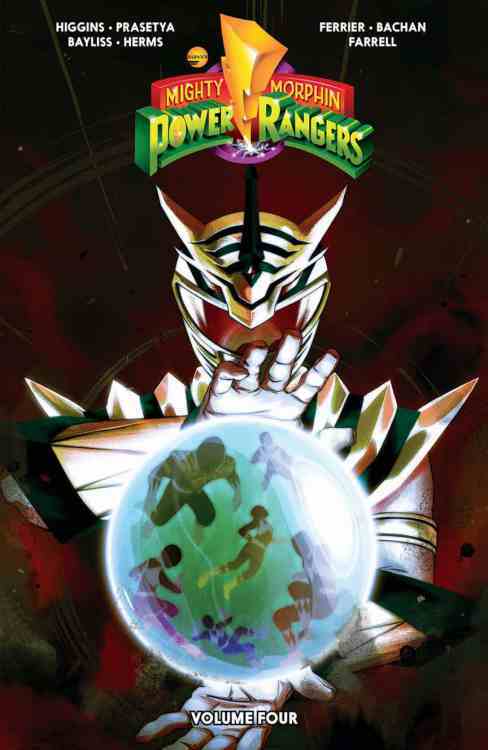 He proves that yet again with a gorgeous splash page of the Tigerzord (shown below). It’s very reminiscent of the footage we always used to see on the show, with the crushing of the rocks and the big roar. 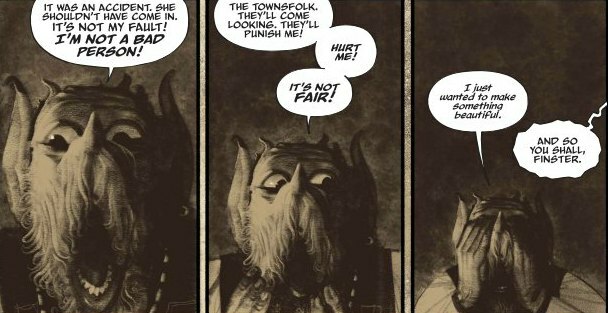 It’s the strongest page in the issue, by far. Of course, the battle stuff is awesome. 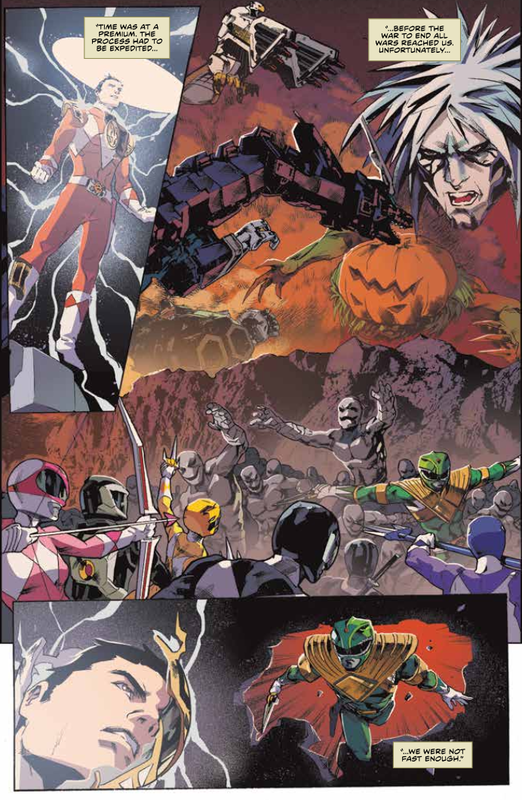 We get a very strong two-page spread of all the Rangers and baddies in front of the Command Center. It feels every bit as epic as it needs to be. 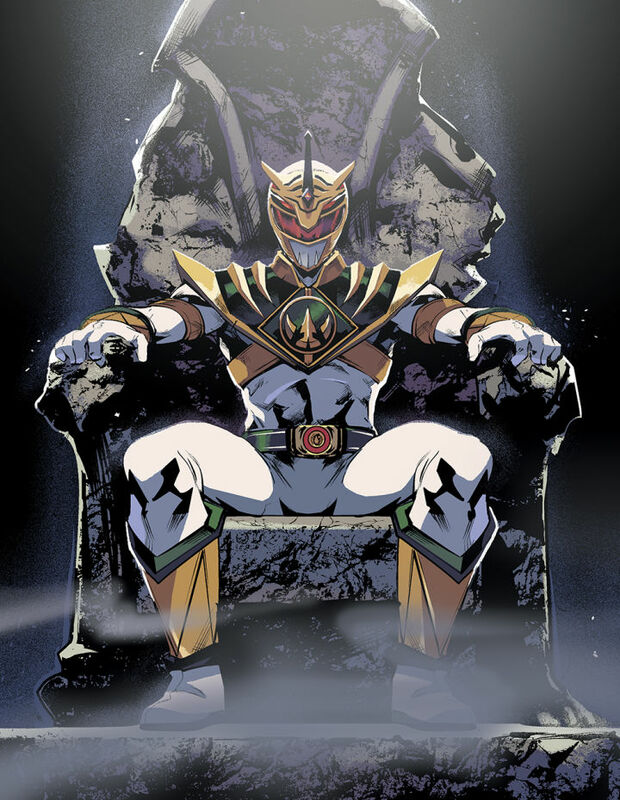 Question: Does merging the Green and White Ranger powers take a toll on the body of Lord Drekkon? I keep coming back to that weird vascularity we see on his face. If you remember from the “White Light” episodes, the Green Ranger powers were created by the forces of evil, while the White Ranger powers were created from “the light of goodness.” So in theory, it would be unnatural to combine them. 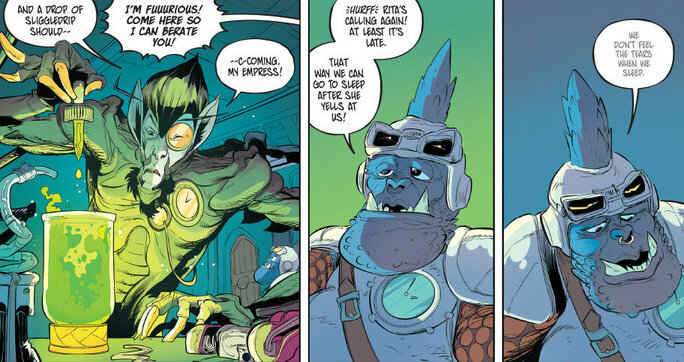 We also get a brief scene in this issue where we see Rita and her forces have taken over the Command Center. 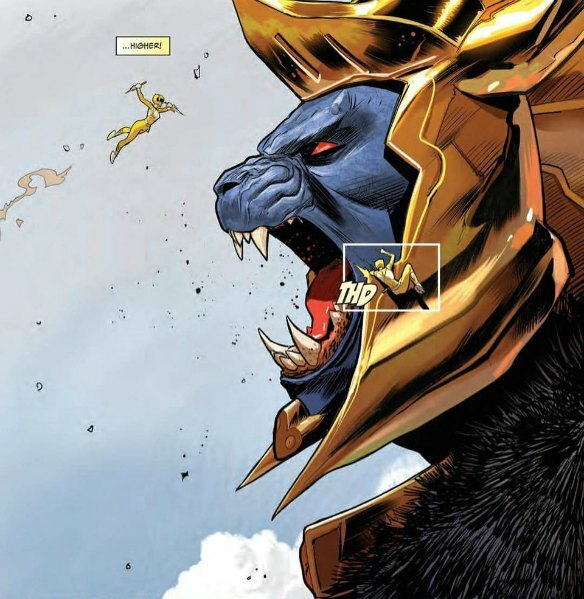 She tells Goldar that she and Finster are working on “a better you.” That’s damn intriguing, considering how Higgins has written Goldar in this book. He tended to have his own agenda on the show, and that’s very much the case here. I’d be surprised if he didn’t have a major role in the outcome of this story. 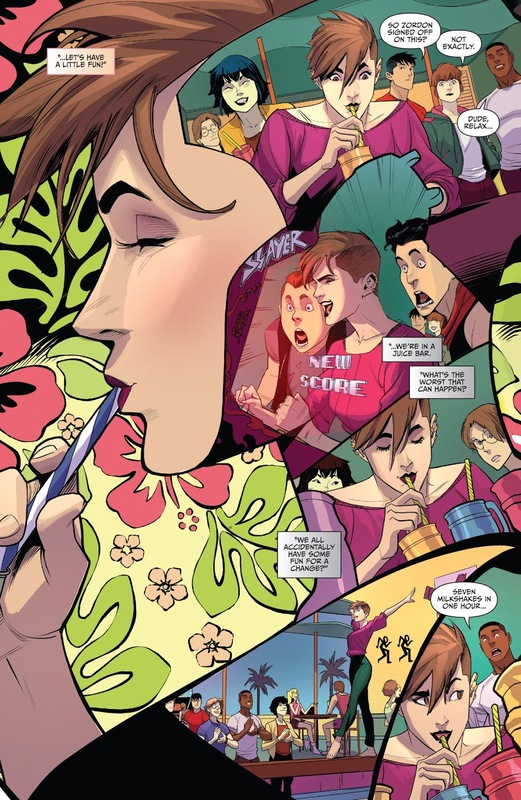 This entry was posted in Comic Books/Graphic Novels and tagged Aisha Campbell, Billy Cranston, BOOM! 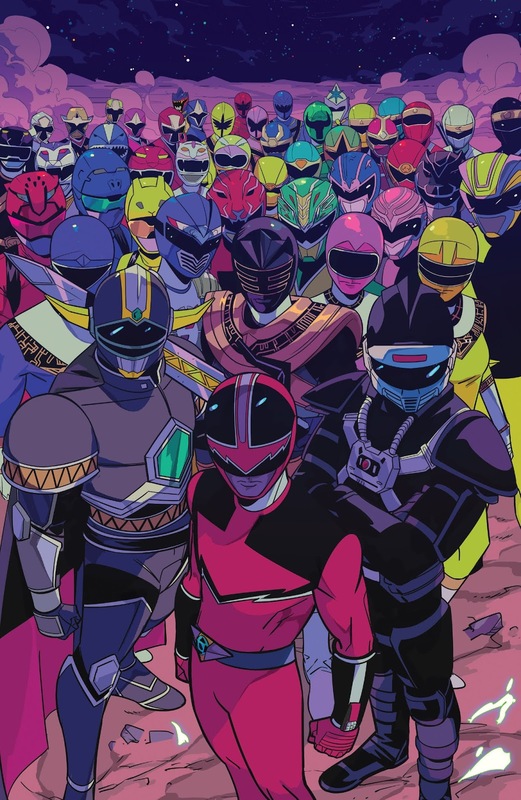 Studios, Green Ranger, Hendry Prasetya, Jamal, Kyle Higgins, Mighty Morphin Power Rangers, Mighty Morphin Power Rangers #12 (2017), Mighty Morphin Power Rangers (BOOM! 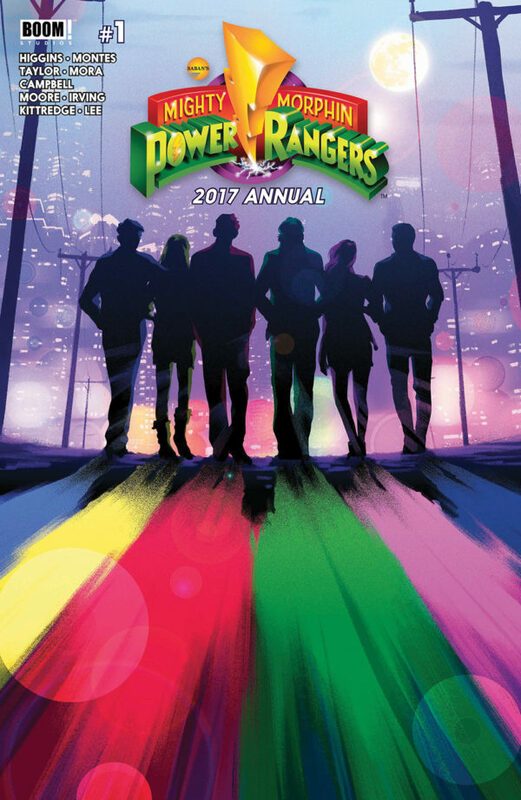 Studios), Power Rangers, Pumpkin Rapper, Rob Siebert, Saba, Tommy Oliver, White Ranger on 02/17/2017 by primaryignition.